• I will only use the toilets provided and not pee on the land or in waterways. • I will use the recycling bins correctly and not drop litter on the ground. • I will take all my belongings home with me again, including my tent and all camping equipment. • I will bag up my rubbish in the bin bags provided by the campsite stewards and use the recycling pens provided in each campsite. • I will try to use a reusable water bottle and avoid single-use packaging. We have 100 recycling pens spread across all of the campsites. Please use the pens provided for all your campsite waste, this will help prevent bins from over flowing. Recycling bags and black bags will be attached to the barrier or in a bag dispenser. 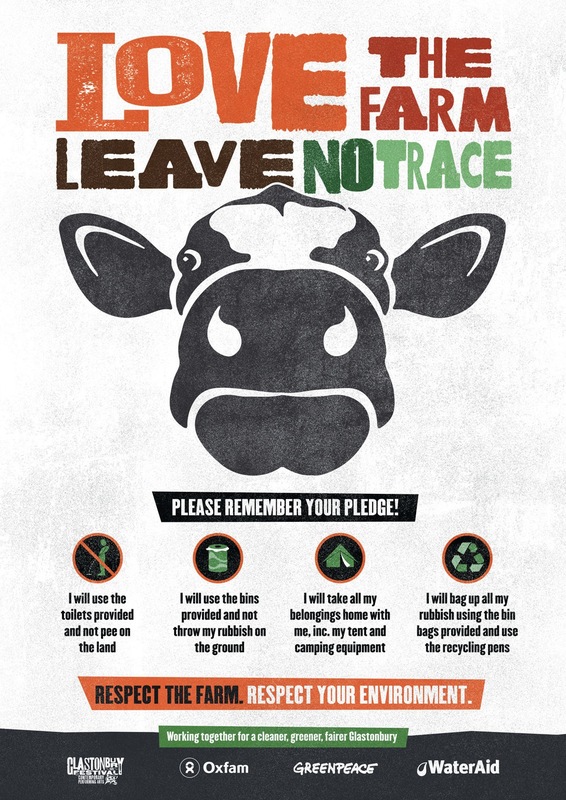 Help support our ‘Love the Farm, Leave no Trace’ Pledge by using the recycling pens. Our sustainable, recycled British stainless steel pint cups will again be available to buy and use at this year’s Festival. They will be available for use at ten major bars across the site, with customers paying a £5 deposit when they buy their first pint. Please click here for more information. Worthy Farm is a magical place and we want this magic to continue when the Festival ends and everyone leaves the farm to go home. We plead with you to take all your belongings home when you leave the farm. We really do want you to leave no trace of you ever having been at the Festival except for your memories. 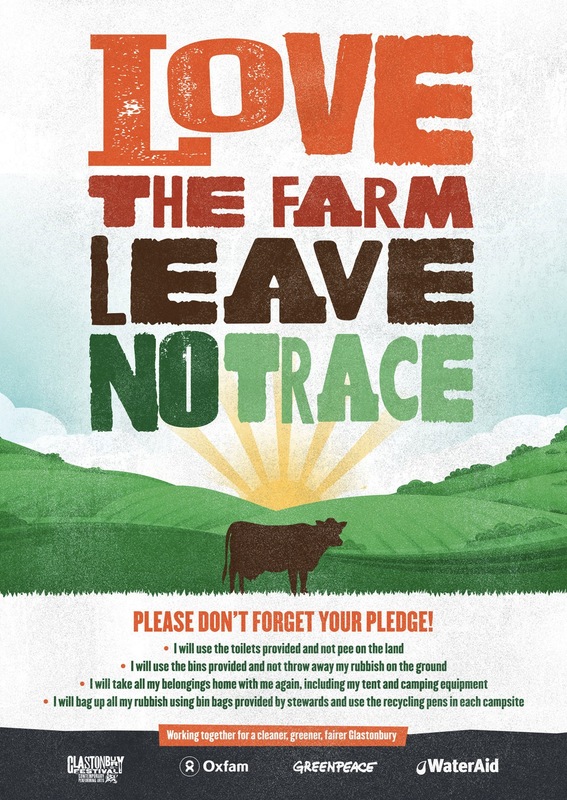 Please encourage people to use the bins provided and spread the message of ‘love Worthy Farm, leave no trace’ wherever and whenever you can.